I used to work for a national department store chain. 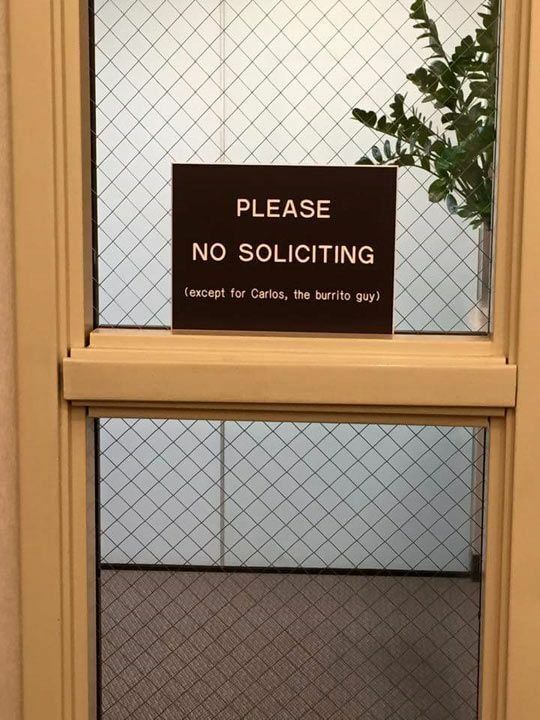 We also had a no-soliciting rule, except for this man who would come in on Saturdays and sell delicious peanut brittle. The store manager had a standing order.